If you and your groups of friends are looking for something a little different for a hen weekend, we may be able to help. 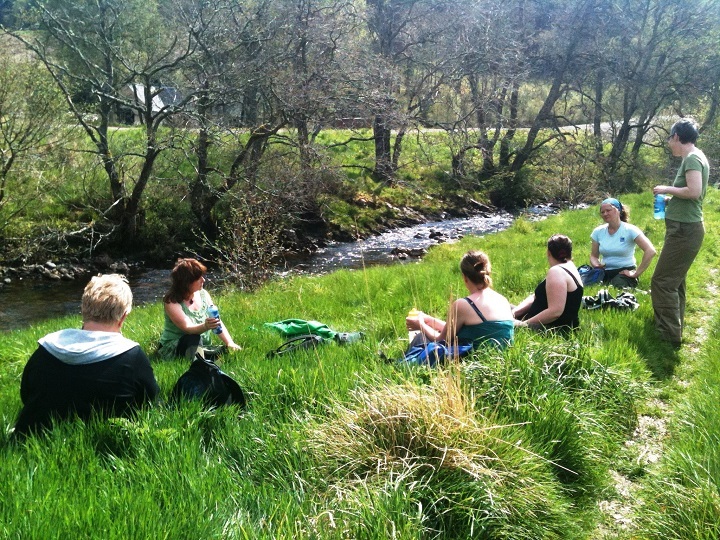 If you would like something a little alternative, unique and outdoors then a Wild Rose hen party may be just the thing. We have put together a very flexible package, depending on how much time and money you have as a group. You can add days, or take activities off depending on what you would prefer. 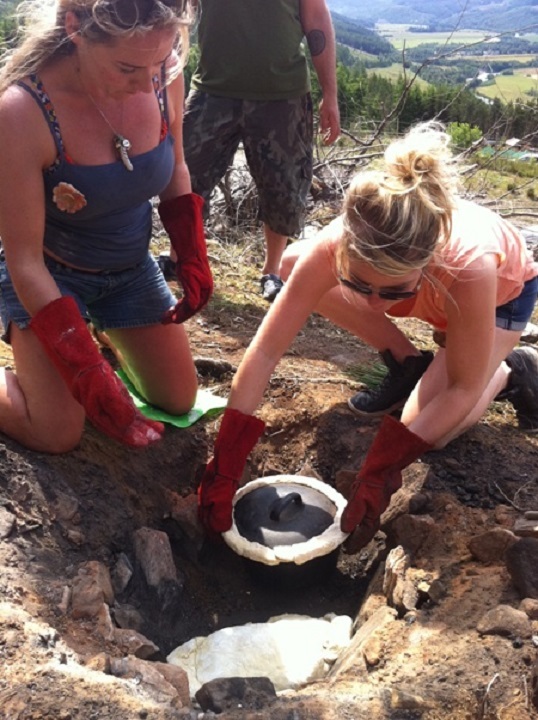 Prehistoric Cookery, Mongolian style Felt-Making with a pony, Wild Food Foraging, Natural Dyeing, Yoga, Capoeira, Pony Trekking, Walking, Feasting & more…. 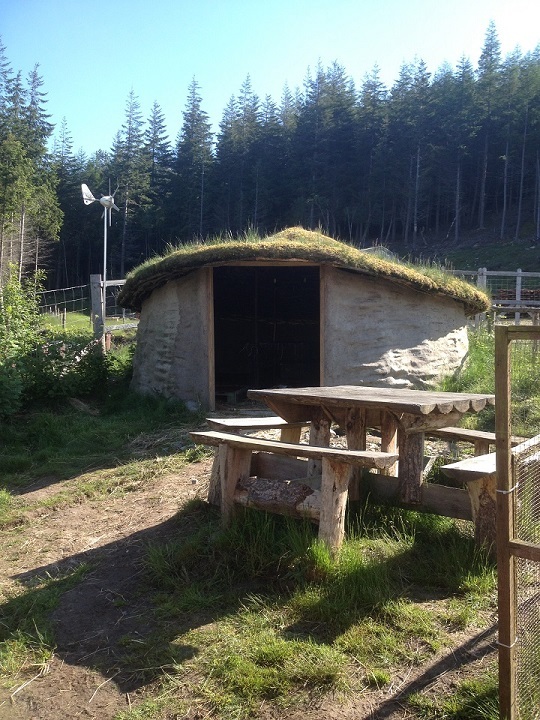 You can choose to create your own prehistoric feast, build an iron age pit oven together, light fires, gather wild greens and prepare your feast for the evening. While this is slowly cooking in the ground, the group can get started on making a communal wall hanging for your hen, which she can keep forever as a memento of her hen do and her friends. 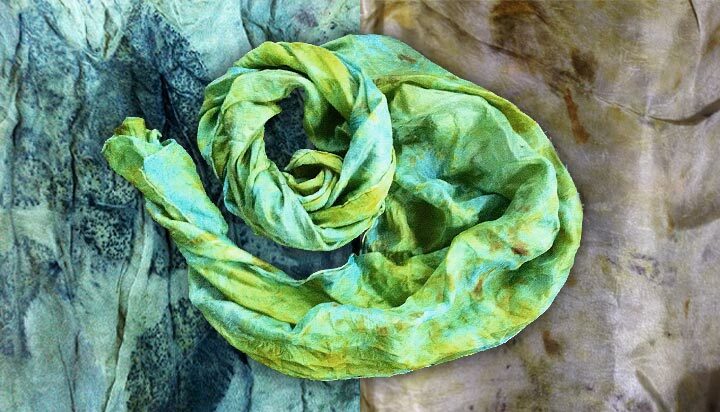 Use beautiful, naturally dyed local wools to create a something unique. Spend the evening feasting on what you have spent the morning preparing! Slow roasted lamb, venison or fish & local vegetables. 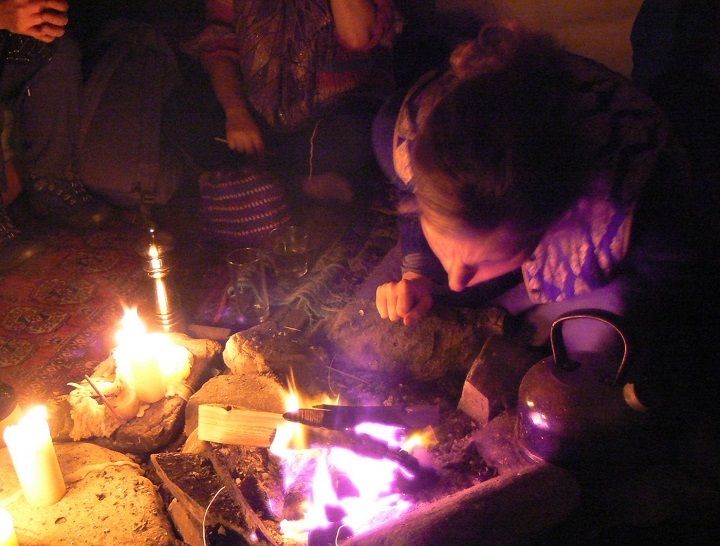 Enjoy the atmosphere of our Iron Age style round house, candle lit with a fire burning in the middle. The following day we will take you to one of Scotland’s highest waterfalls, Plodda falls, on the way to Cougie trekking centre. At Cougie we will roll up the wall hanging your group has started to make and harness it to the back of Nutmeg, a beautiful Highland pony. She will felt this Mongolian style, by pulling the roll around the field for a couple of hours. During this time your group can just enjoy the scenery with a picnic lunch or some of you may fancy going on a pony trek for an hour or two with Sasha and some of the other ponies. 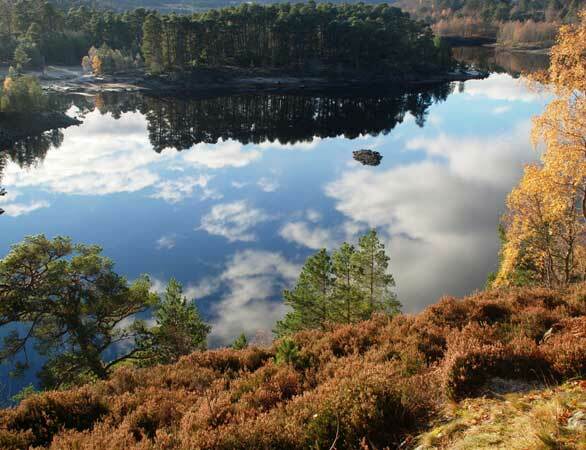 Ride out to some the most beautiful landscapes in Britain, Glen Affric national nature reserve. When Nutmeg has finished her part, we will unroll the wall hanging and finish it off by hand. A wonderful gift to give your hen! 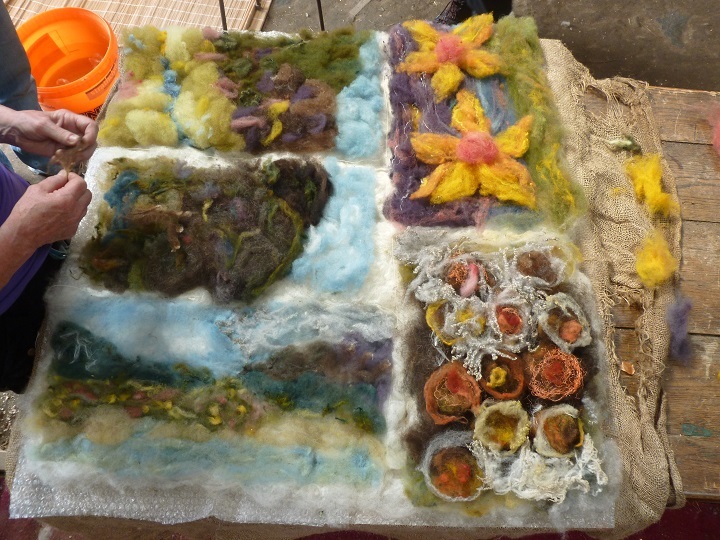 If you would like an extra day with us you may like to either add on a natural dyeing day at the beginning, so you can dye the wool for your communal wall hanging, or perhaps a felt making day. The whole group could to make something for themselves -corsages or fascinators for the wedding is an option! 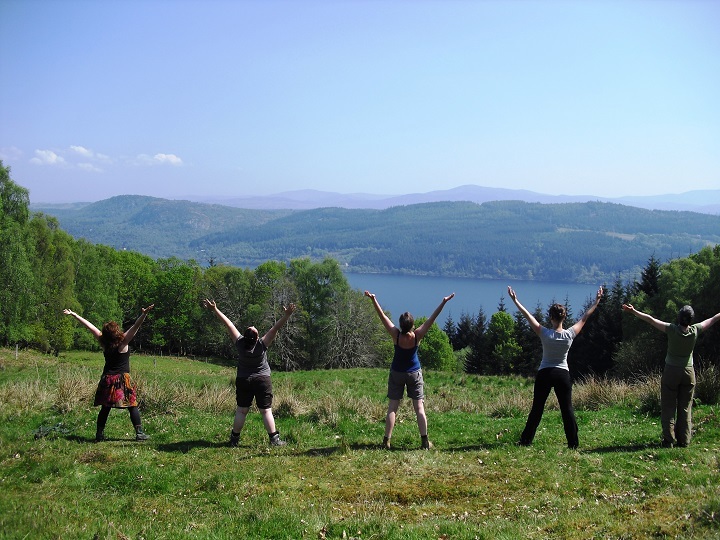 You might be interested in having a morning of yoga with Joanie or a Capoeira session with Frazer or perhaps if your group likes walking you may want to spend a day in Glen Affric. 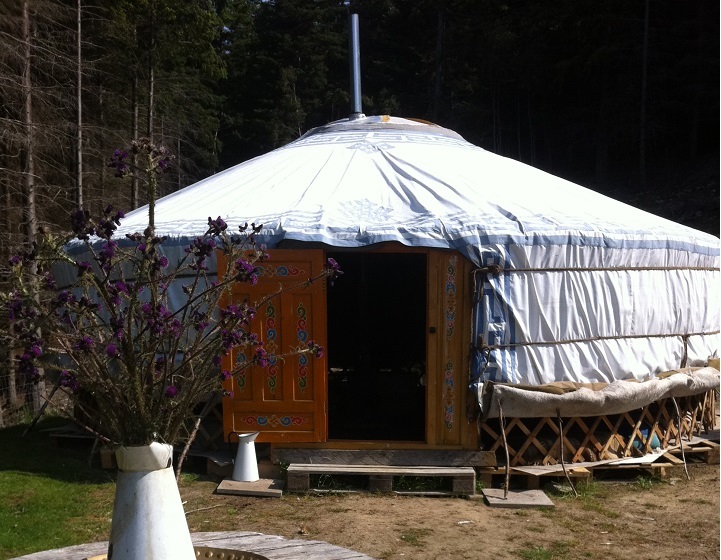 We can provide and erect a large communal tent which sleeps up to 10 people. This would be at Cannich campsite, which is a lovely campsite with great facilities which has been recommended by Ray Mears. The campsite has great showers and an excellent cafe on site, which serves all day, including breakfast. If your group decides to take this option you would not even need to bring any cooking equipment as you could have breakfast at the cafe, we provide lunches and dinner on Saturday. There is also a pub in the village. There are self catering static caravans on site, available for shorter stays off season. If you would prefer to stay in a self catering cabin, the Glen Affric holiday park is a friendly, family run set up, with recently refurbished, spacious cabins, which sleep up to 6 people (you could always have two if needed). Alan and Amanda, who run the park, are also happy to let the cabins for weekend and long weekend stays. See more on these and our other options on our accommodation pages. If you would like to be collected from the airport we charge £30 per group each way (people carrier). If your group is larger than seven people we can arrange a mini bus for the group pick up. 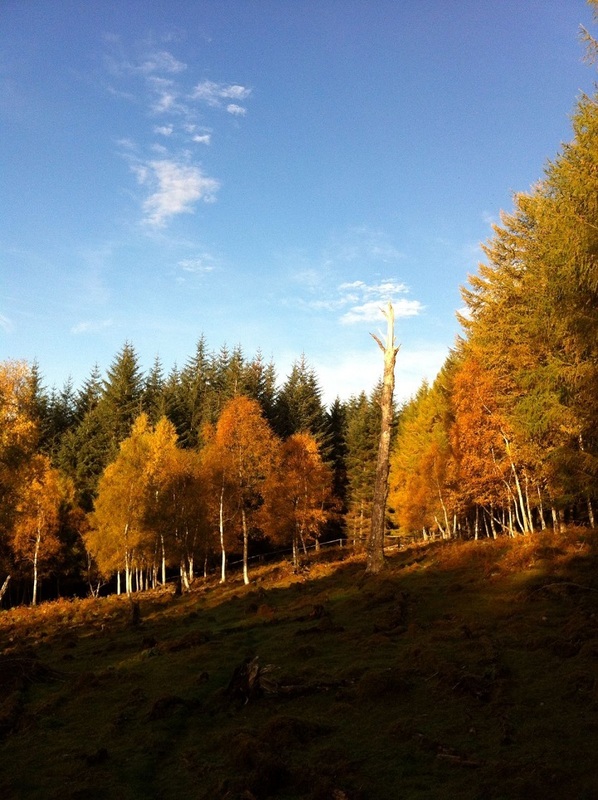 Transfers from your accommodation to Higher Crochail woods, out to Cougie and to the Struey Inn if required. We charge £150 per person for the 2 day weekend for groups of between 6-10 people and for groups of 10+ we offer a discount. We can run smaller parties for less than 6 people but charge extra per head depending on size. Includes: prehistoric cookery workshop, felting with a pony, all materials, lunch on Saturday and Sunday, dinner on Saturday night. 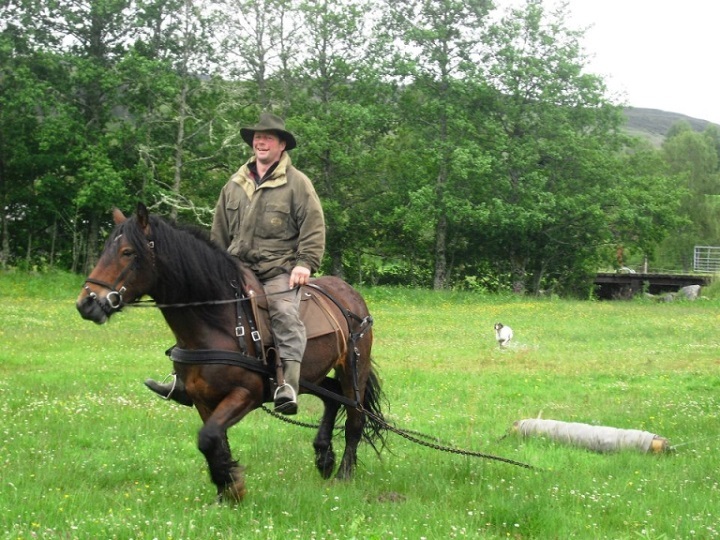 If some of your group would like to go pony trekking while out at Cougie, that will be an extra £25 per person per hour. We do not include alcohol however, if you would like us to provide alcohol on Saturday evening you can let us know what you would like and reimburse us over the weekend. Camping: Includes tent and erection and take down of tent: £9 per person per night. If you fancy something a little different for your hen do just get in touch!